Shop for anti-seizure medications for dogs at VetDepot.com. Just like people, dogs can also suffer from epilepsy, which is a disorder of recurring seizures. Seizures occur when neurons within the part of the brain called the cerebrum fire in an uncoordinated fashion. 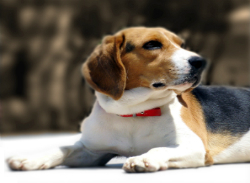 Epilepsy can be found in all breeds of dogs, including mixed breeds, but certain breeds like Beagles, Dachshunds, Collies, German Shepherds, and others have higher incidences of seizure disorders. It usually manifests itself in dogs aged six months to five years, though usually between two and three years. "It's unknown what actually triggers a seizure in an epileptic dog, but many dogs tend to have them when they're excited." There are multiple types of seizures, and if you suspect your pet is having one, note all the details so you can give the most accurate description to your veterinarian. Partial seizures can be simple like twitching or excessive pawing. Usually movements are restricted to one part of the body. These are usually associated with secondary epilepsy. Generalized seizures can be divided into two types: grand mal and petit mal. Grand mal seizures are the most common in dogs, and they usually cause your dog to experience uncontrollable muscle activity like kicking or paddling as if swimming, salivating, and involuntary urination or defecation. Petit mal seizures do not include convulsions, but your dog will lose consciousness. In both cases, the animal is unaware of you, their surroundings, and their actions. When multiple grand mal seizures occur without any recovery time in between it's a condition called "Status Epilepticus" or simply "Status." This is the worst form of seizure, and should be treated as a life-threatening emergency. There are four stages to a seizure that you can recognize with close observation. Prodome: this a pre-seizure period that can last for minutes or hours. It causes behavioral changes, and your dog may appear restless, pace, whine, or excessively salivate. Aura: because animals can't speak, this is hard to determine. Auras are a sensory experience, but they may cause additional behavioral changes (whining, wandering, nervousness, hysterical running) right before a seizure. Ictus: this is the actual seizure. What your dog does during it depends on the type of seizure it is. They may collapse with uncontrolled muscle activity, or they may run in circles, act excited, or vomit. Normally, seizures last less than five minutes, but if a dog is suffering from Status Epilepticus, it may persist for longer. Post-Ictus: this period comes after the seizure and is a sort of recovery period. If the seizure happens at night or early in the morning, the post-ictal period may be the only signs of epilepsy the owner sees. Signs in this phase include: disorientation, abnormal coordination, and temporary blindness. This period may last for a few minutes to a few days. Most dogs will feel a seizure coming on and will seek affection and comfort from their owners. During the actual seizure they won't be aware of their surroundings, but it's best to be there to comfort them while they recover. What triggers my dog's seizures? It's unknown what actually triggers a seizure in an epileptic dog, but many dogs tend to have them when they're excited. Some owners report that their dog has seizures while playing or running around or when guests come over to the house. However, others have been known to have seizures while sleeping. This can be difficult for pet owners to know if their canine companion is just dreaming or not. Remember, a sleeping dog can be woken up, but a dog having a seizure cannot. For your veterinarian to diagnose your dog with epilepsy, they're first going to need a detailed medical history of your pet. They'll need to know how often your pet has seizures, the duration, the type, signs and symptoms, what medications your pet is on, if they've been exposed to any toxins, what their diet is like, etc. Then they will run a variety of tests that may include a CT scan or an MRI. There are no positive diagnostic findings that point definitely to epilepsy. Your vet will only diagnose your pet once they have ruled out every other possible cause for the seizures. In cases where your pet has only had one isolated seizure, your veterinarian may do a complete physical and neurological examination. If they find no abnormalities, they may simply to advise you to watch your pet for further seizures and symptoms. Treating your dog for epilepsy usually doesn't start until after a severe seizure or several have occurred and your veterinarian has observed a pattern. Noting the frequency and severity of the seizures is very important and will let your vet know if the treatments are working. Sadly, there is no cure for epilepsy in dogs. The goal of treatment is to reduce the severity, frequency, and duration of the seizures. 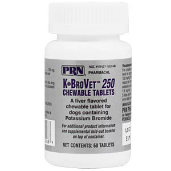 Your vet may prescribe oral phenobarbital and/or potassium bromide to be given every day. Regular tests and checkups are recommended, especially for dogs on phenobarbital. It's absolutely crucial to be diligent and stick to the prescribed dosing regimen. Suddenly stopping or skipping doses can have dire consequences. 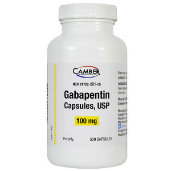 Other medications used to treat canine epilepsy include: Gabapentin, Felbamate, and Zonisamide. Epileptic dogs that are on anti-seizure medications will require them for life. Some anti-epileptic drugs may have adverse effects on the liver especially at high doses, so liver function tests will probably be required. In extreme cases when the seizures can't be controlled medically, veterinarians may advise euthanasia.